The trip to series finals in Masterton paid dividends for both the winners of the EquiBreed NZ and VDL Leading Mare and EquiBreed NZ Leading Stallion crowns for the 2017-2018 season. Waipukurau’s Brooke Edgecombe and LT Holst Andrea took the leading mare prize, while Eros K was named leading stallion for Christchurch’s Steffi Whittaker. Brooke has had a busy season, juggling a new baby with her riding and racking up some impressive results with the nine-year-old mare, which she part owns with Ewen MacIntosh from Lake Taupo Holsteiners. It was a pleasant surprise to learn Andrea had taken out the leading mare prize. “I knew of the series but it had completely slipped my mind. She has been super consistent this season so it’s nice she has been rewarded. 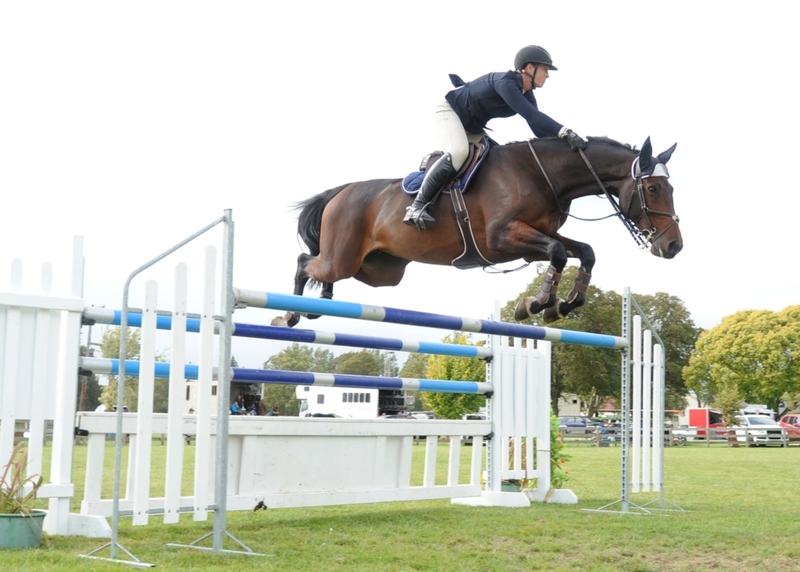 There are a lot of good mares at the moment jumping at the higher levels, so I was definitely surprised,” Brooke said. Ewen imported the mare, who is by Casall Ask out of Palaune, from Germany. The relationship started about seven years ago when Ewen asked Brooke and her husband Oliver to break in a couple of horses for him, and grew from there. “That was when he was very new into the sport and breeding. He owns a shearing contracting business and inherited a couple of horses from his brother when he passed away. He’s so passionate about breeding and has what I would call a boutique breeding operation out of Taupo – not huge, but quality. The combination were sixth overall in the Bayleys Real Estate Premier League Series, also placing sixth in the series finals class over the weekend. “Competition wise, this season just been she was quite green at World Cup level so the aim next season will be to consolidate her at that level and aim for a series prize. Ewen will probably pull a couple of embryos next season too, so it’s great she can be breeding and competing. 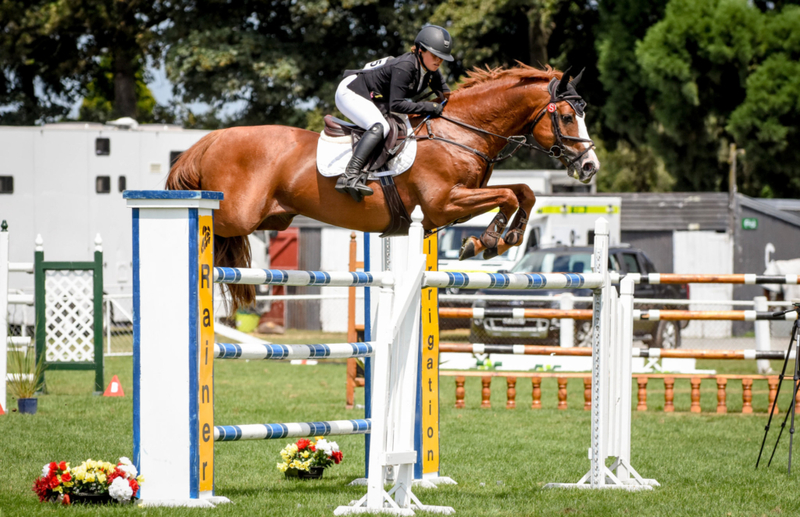 Steffi had a great show, winning the finals classes for both the Junior Rider and Young Rider events, as well as taking the leading stallion title. The 18-year-old has just finished school and is now working at Berkley Thoroughbred Stud. She made the long trip up to Masterton knowing she had the chance to improve her overall standing in several series. She didn’t expect to take the leading stallion title, but was very excited to win, especially given it was the last show of the season. The combination also placed fifth in the Bayleys Real Estate Premier League final class, which was just their second start in the Premier League. She likens Eros to a bigger version of her old pony Moonlight Glow, who she enjoyed huge success with, including winning the Pony of the Year title at HOY. Eros K is an Irish Warmblood 12-year-old chestnut stallion by Guidam, out of Dutchess De La Bryere. He was imported from Ireland as a four-year-old by Josh Barker, who they purchased the horse from. The leading stallion series was a goal for the season, but she didn’t expect to actually win it as she has had the horse for less than a year. 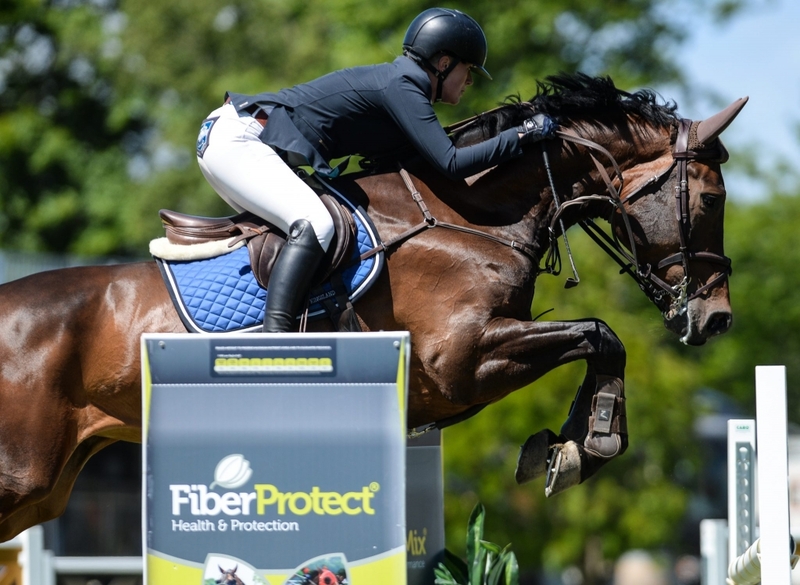 “We did the Young Rider classes and then started doing Grand Prix in November, and now we’ve done two Premier Leagues. He’s been pretty good and is usually in the top placings, with one Grand Prix and one Premier League win. I’ve taken him slowly and he’s kept improving. Now we have a bond and have connected so well, which helps a lot. The ESNZ Leading Eight-Year-Old prize went to Graffiti MH, ridden by Melody Matheson. Bred by Matthews Hanoverians, Graffiti MH is a bay mare by Graf Top, out of Elode. LT Holst Andrea ridden by Brooke Edgecombe (Waipukurau) 80 points. Eros K ridden by Steffi Whittaker (Christchurch) 61 points. Graffiti MH ridden by Melody Matheson (Hawke’s Bay) 69 points.